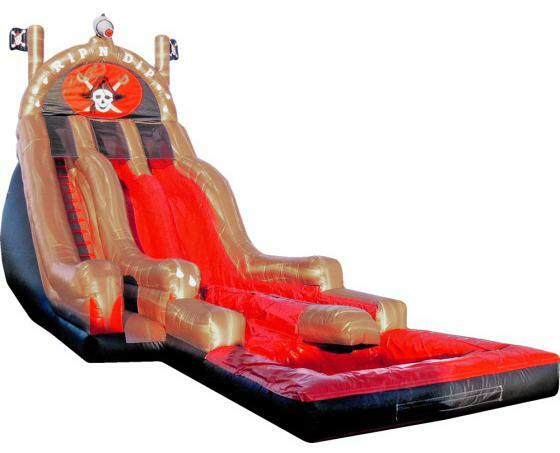 The 21ft Inflatable Pirate Rip N Dip Water Slide is guaranteed to thrill even the bravest riders. 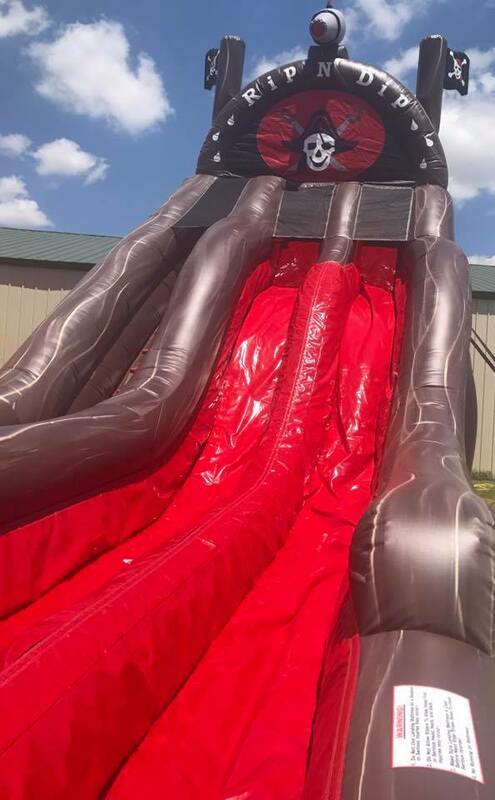 Two humps built into each sliding lane shoot you down the slide into a pool of water. 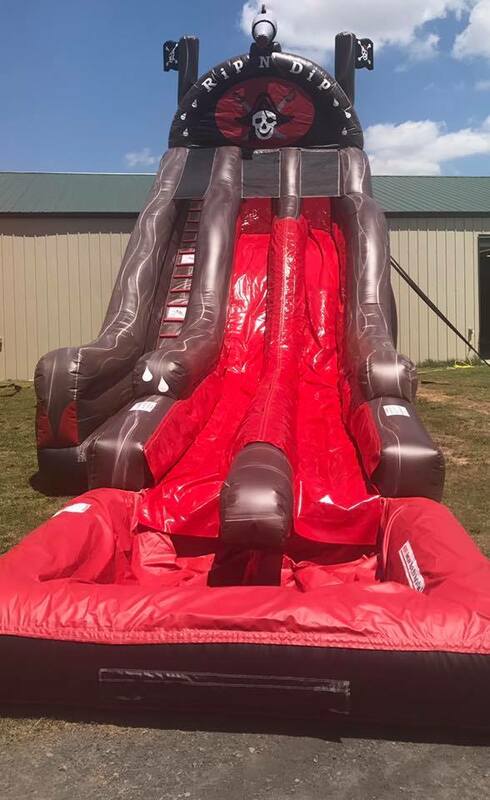 Dual sliding lanes allow you and your guests to race side by side.